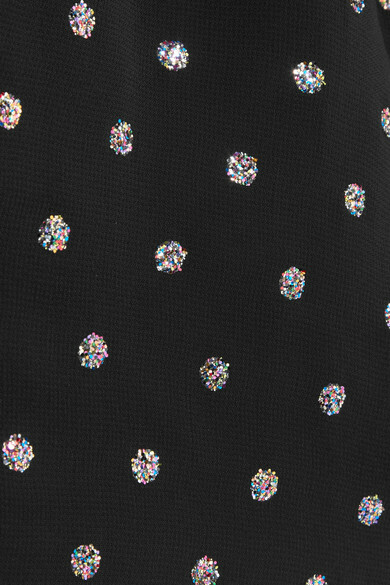 Saint Laurent’s mini dress recalls the party styles that Anthony Vaccarello sent down the Fall '18 runway in Paris. 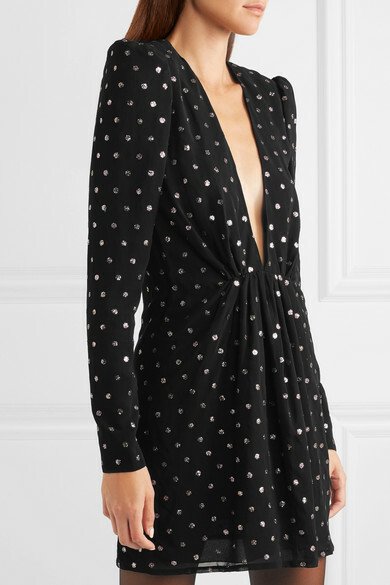 This lightweight crepe piece is patterned with iridescent glittered polka-dots and cut with a plunging neckline and structured shoulders. Add some sheer tights and a pair of platforms. Shown here with: Saint Laurent Sandals, Saint Laurent Pouch.